Welcome to our Depression Guide. Click the headings below to expand each section. Our most recent events, blogs and other updates about depression are shown below the headings. All young people feel low or down at times, but negative emotions that last for a long time or feel very severe may be a sign of depression. Depression is common in children and young people, particularly in adolescence and among girls. On average, an episode of depression lasts for about eight months and often occurs alongside non-depressive conditions such as ADHD. In children and young people, depression is associated with poorer academic performance, problems with relationships, substance abuse and, in its most severe form, suicidal thoughts and attempts. The causes of depression in children and young people are complex, but it is likely to be caused by a combination of environmental and genetic factors. The way that depressed children and young people present to healthcare services isn’t clear cut and is variable in terms of levels of severity and the way that individuals are affected. It often remains undetected, and as a result, untreated. Treatment is initially with psychological therapies, though the evidence for their effectiveness is mixed. The antidepressant fluoxetine is also used in more severe cases and under specialist supervision. These treatments can be used together where appropriate. There is some evidence and expert consensus that exercise, good sleep routines, a healthy diet help to manage anxiety are beneficial for children and young people with depression. Despite advances in our understanding of depression, and how it is treated, it remains a highly recurrent difficulty, with many people not achieving complete remission between episodes. Digital health interventions and universal prevention programmes are approaches currently being developed for use in the future. Depression is a significant health problem in the UK and globally. It affects all ages and social backgrounds and its impact is widespread, with implications for individuals, families, communities and wider society. The World Health Organisation describe depression as the leading cause of disability worldwide. Young people account for the greatest global burden of disease. Clinical, unipolar depression is more than just feeling low for a day or two. It’s a persistent state, lasting every day for two weeks or more, which impacts on many aspects of life, and which is sufficiently severe to interrupt everyday functioning. It can range in severity from mild to severe illness, and when at its most severe it has a high risk of suicide, substance abuse and self-harm. Although the symptoms of depression vary from person to person, three main areas are affected – mood, thinking, and activity. People with depression have episodes of sadness, lose interest and pleasure in the activities they used to enjoy and often have feelings of low self-worth. Changes in thinking can lead to a self-critical focus, difficulties making decisions and poor concentration. Depression can also include a range of physiological symptoms, such as fatigue, pain, diminished appetite and disturbed sleep. Typically, children and young people may feel they are useless or no good, can feel unable to affect change in their lives, and may feel hopeless about their future. Depression is common in children and young people. Overall prevalence is estimated at 2.8% for children under the age of 13 and 5.6% for young people aged 13 to 18 years (Costello, 2006). Rates rise steeply in adolescence, with girls more likely to be affected than boys. By the time they reach adulthood, between a fifth and a quarter of young people will have had a depressive disorder. Depression in children and young people commonly occurs with other mental health problems. Alongside depression, most children will also have the symptoms of anxiety and changes in their behaviour. 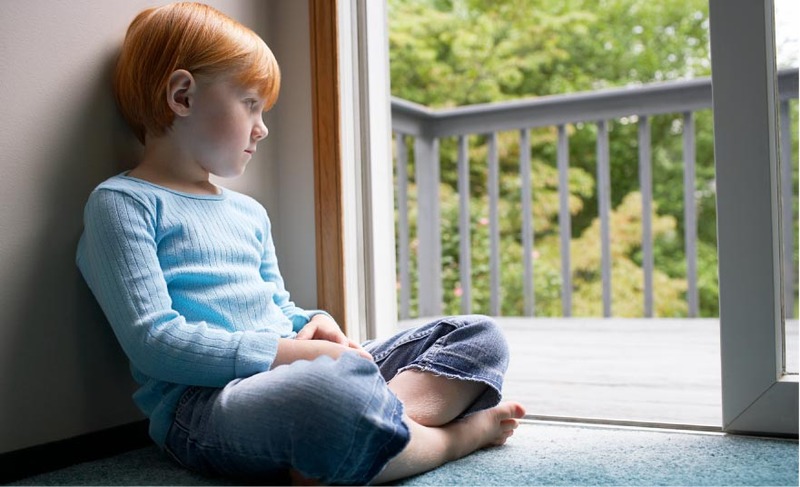 More than half of children and young people will also have a non-depressive disorder, such as a conduct disorder and/or oppositional disorder, separation anxiety disorder, obsessive-compulsive disorder, an eating disorder or ADHD (NICE 2005). have persistent drug and alcohol problems. On average, an episode of depression in a child or adolescent lasts for about eight months, and 70% of those whose depression remits will develop another depressive episode within the next five years (Birmaher 2007). This suggests that if a child or adolescent has an episode of depression, they are more likely to have depression as an adult. Depressed children and young people present to healthcare services in many different ways, which can be variable in terms of levels of severity and the way that individuals are affected. In general, feelings of worthlessness, self-criticism and poor attention increase in adolescence whereas physical symptoms, such as aches and pains, tend to be more prominent in children (NICE, 2005). Interviewing the child or young person about their history and symptoms is an effective method of diagnosing depression (Zuckerbrot 2007). Parents/carers, other family members, school or other professional can also be interviewed, separately where relevant and possible (Zuckerbrot 2007). The World Health Organization ICD-10 Classification of Mental and Behavioural Disorders is an effective tool for establishing the severity of depression (NICE 2005). There is some evidence that primary care clinicians may under-diagnose adolescent depression (Zuckerbrot 2007). However, a systematic assessment that involves specifically asking about depression and suicide gives better results than relying on the young person volunteering the information (NICE CKS 2016). The way that depression presents in children and adolescents, and the likelihood of other condition existing alongside it, means that it often remains undetected. Therefore, children and young people may not receive the treatment they need. Individual characteristics and family issues may have an impact on the effectiveness of treatment for depression (NICE 2015). For example, parental depression, parental substance misuse, or other mental health problems and associated problems of living, may have a negative impact on the success of treatment. There are various different psychological therapies for depression in children and young people and the evidence for their effectiveness is also mixed (Zhou 2015, Goodyer 2017, Cox 2014). In general, psychological therapies are considered to be beneficial in children and young people, though the effects may be modest and short term. There is no good‑quality evidence that one type of psychological therapy is any better than another (NICE 2015). In children and young people who have depression that is ‘resistant’ to treatment, there is some evidence that therapies which have booster or follow-up sessions may be effective in maintaining any treatment gains. One of the most effective and commonly used psychological therapies is Cognitive Behavioural Therapy (CBT). ​ It has been proven to help treat a wide range of emotional and psychological problems in adults, children and young people. CBT looks at how we think about a situation and how this affects the way feel and act. The CBT therapist and young person work together to examine and test out unhelpful thinking patterns and behaviours. The overall evidence for the effectiveness of individual CBT in young people is inconclusive. However, combining CBT and newer antidepressants (SSRIs) may have some limited benefits in the short term compared to having either therapy on its own (NICE, 2015). Computerised CBT may also be a valid treatment option for young people with mild depression (Merry, 2012). We know that neurochemical factors, such as serotonergic dysfunction, play an important role in depression, which goes a long way in explaining the efficacy of selective serotonin reuptake inhibitor (SSRI) treatments. Antidepressants (Tricyclic antidepressants (TCA), Selective serotonin reuptake inhibitors (SSRI)) should not be used for the treatment of children 6-12 years of age with depressive episode/disorder in non-specialist settings (WHO 2012). Fluoxetine is the only antidepressant for which clinical trial evidence shows that the benefits outweigh the risks in children and young people. Therefore, if a child or young person needs treatment with an antidepressant, fluoxetine should be used (NICE,2015). There is some evidence of an increased risk of suicide-related outcomes in children and young people treated with antidepressant medications. Evidence suggests that tricyclic antidepressants are not useful in treating depression in children. There is marginal evidence to support the use of tricyclic drugs in the treatment of depression in adolescents (Hazell, 2013). Up to 20% of young people with depression may be using complementary medicines to treat their condition (Hazell 2014). There is no evidence to support the use of complementary therapies in treating depression in children and young people (Hazell 2014). There is some limited evidence and expert consensus that good sleep routines, a healthy diet and help to manage anxiety are beneficial for children and young people with depression. Recent research shows that exercise has a moderate impact on treating symptoms of depression in adolescents, though more rigorous studies are needed (Carter 2016). There is much still to determine. For example, we know that depression is hereditary, however the extent of genetic versus environmental influences are unclear. As yet, no specific genes have been linked to depression. There are at least 15 different assessment questionnaires and rating scales used to diagnose depression in clinical settings (see the CORC website for further details of outcome and experience measures). However, we don’t know which is the most effective, or how they compare in terms of efficacy. We don’t know the precise mechanisms that determine those who respond best to treatments, be they pharmacological, psychological, or both. There is still little evidence to conclude which type of approach is most effective in preventing relapse or recurrence of depressive episodes in children and adolescents. Dietary supplements, in particular the omega 3 fatty acid EPA, may have a role in treating depression, however, most research in this area has been conducted with adults. Further research in children and young people is needed. There are several emerging treatments on the horizon that show promise in children and young people. Transcranial magnetic stimulation (TMS) is a treatment that induces electric currents in the cerebral cortex. There is some limited evidence that repetitive TMS may be safe and effective for treating depression in adolescents. Transdermal selegiline is a monoamine oxidase inhibitor (MAOI) which has been safely used in adolescents, though it’s efficacy has not yet been clearly established (Delbello, 2014). This is not a standard antidepressant tablet, but a patch that is applied to the skin. A recent meta-analysis has suggested that exercise is effective in treating major depressive disorder in adults, and several trials are under way to assess the efficacy of exercise in treating depression in children and young people (Korczak, 2017). Preventative strategies, either physiological or psychological, may reduce people’s risk of depression, particularly those identified as being at high risk of developing depressive symptoms. There is an increasing focus on the implementation of universal depression prevention programmes, which aim to promote mental wellbeing at a population level. The Mental Health Foundation’s report Mental health and prevention: taking local action for better mental health brings together the evidence around prevention and also advocates a whole population approach including mentally healthy communities integrated approaches to health and social care. However, a recent Cochrane systematic review (Hetrick et al, 2016) suggested that there is insufficient evidence to support the implementation of depression prevention programmes in children and young people. Digital health interventions such as computer-assisted therapy, smartphone apps and wearable technologies have enormous potential to improve uptake and accessibility, effectiveness and personalisation of mental health interventions. Research is beginning to explore these and has shown some benefit, particularly of computerised cognitive behavioural therapy (cCBT), for depression and anxiety in adolescents and young adults. cCBT and iCBT (Internet-based cognitive behavioural therapy) are most effective when they include guided support from a trained therapist. A regularly updated list of recent digital mental health research can be found on The Mental Elf website. NICE Guideline: Depression in children and young people. Hetrick SE, Cox GR, Witt KG et al. 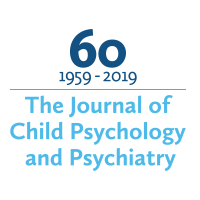 (2016) Cognitive behavioural therapy (CBT), third-wave CBT and interpersonal therapy (IPT) based interventions for preventing depression in children and adolescents. Cochrane Database of Systematic Reviews. Issue 8. Art. No. : CD003380. Available at: http://onlinelibrary.wiley.com/enhanced/exportCitation/doi/10.1002/14651858.CD003380.pub4 [accessed 28 April 2017] DOI: 10.1002/14651858.CD003380.pub4. Hazell P, Mirzaie M. (2013) Tricyclic drugs for depression in children and adolescents. Cochrane Database of Systematic Reviews 2013, Issue 6. Art. No. : CD002317. Available at: http://onlinelibrary.wiley.com/doi/10.1002/14651858.CD002317.pub2/abstract [accessed 28 April 2017] DOI: 10.1002/14651858.CD002317.pub2. Hetrick SE, McKenzie JE, Cox GR et al. (2012) Newer generation antidepressants for depressive disorders in children and adolescents. Cochrane Database of Systematic Reviews, Issue 11. Art. No. : CD004851. Available at: http://onlinelibrary.wiley.com/doi/10.1002/14651858.CD004851.pub3/full [accessed 28 April 2017] DOI: 10.1002/14651858.CD004851.pub3. Munthe-Kaas HM, Johansen S, Blaasvær N at al. (2014) The effect of psychosocial interventions for preventing and treating depression and anxiety among at-risk children and adolescents. Rapport fra Kunnskapssenteret nr. 22 – 2014. Available at: http://www.kunnskapssenteret.no/en/publications/the-effect-of-psychosocial-interventions-for-preventing-and-treating-depression-and-anxiety-among-at-risk-children-and-adolescents [accessed 28 April 2017] ISBN 978-82-8121-846-8 ISSN 1890-1298.